Physical description: v. : ill. ; 26 cm. Publication of the Alumni Association of the University of Alberta. From 1942 to 1978, issued under the title New Trail. From 1979 to 1981, ceased publication in this form. From 1982 onward, issued once again under the title New Trail. From 1979 to 1981, absorbed by University of Alberta, Public Relations Office, Folio. 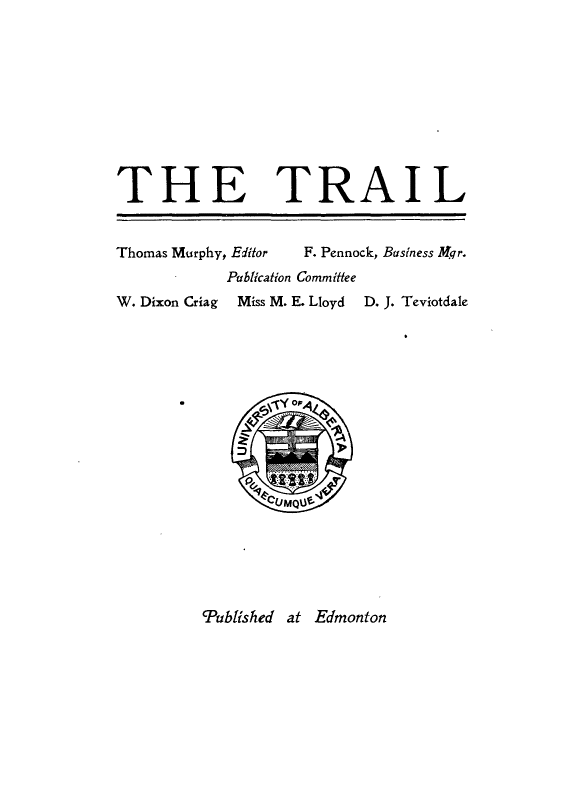 During this period, Folio included quarterly special issues called Folio/New trail.